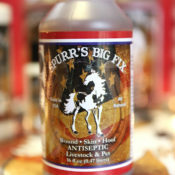 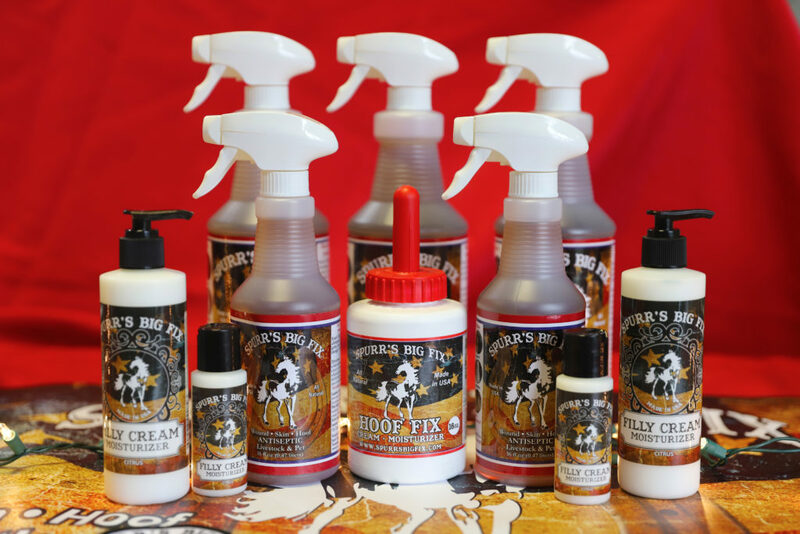 Spurr’s Big Fix Antiseptic Spray is an extremely effective product for general wound care. 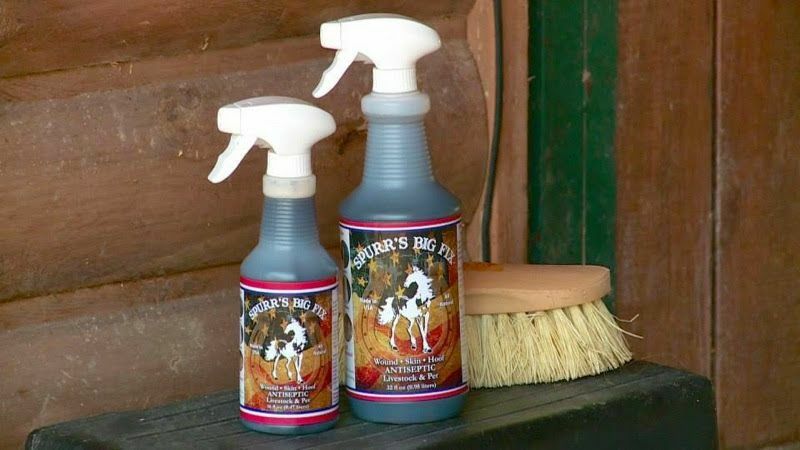 Both antiseptic and soothing, this solution quickly penetrates the affected areas and goes to work. 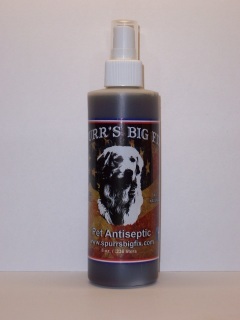 And, because it’s a convenient spray it reaches those deeper recess so hard reach with thicker ointments. 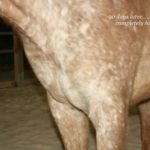 As they say, a picture is worth a thousand words. 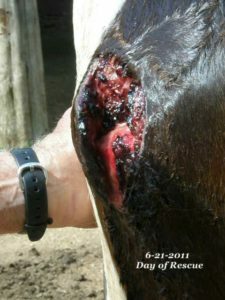 These images, though gory are quite compelling. 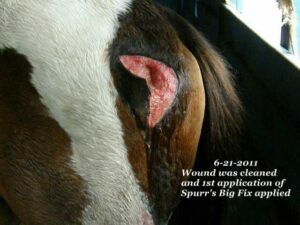 This paint mare entered rescue with a deep gash from a t-post. 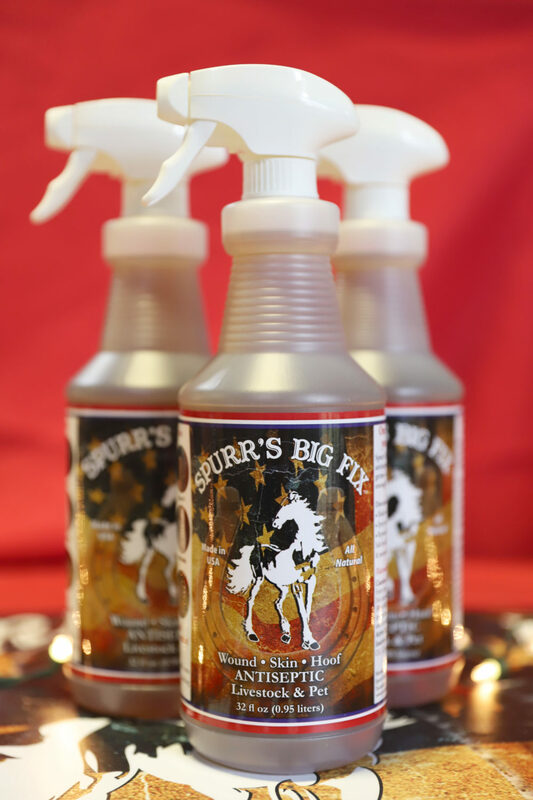 After an initial general cleaning, Spurr’s Big Fix was sprayed on the affected area three times daily. 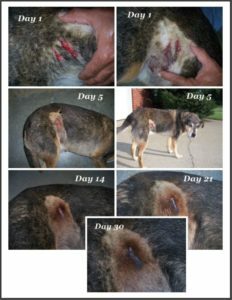 In only 4 weeks the wound was healed. 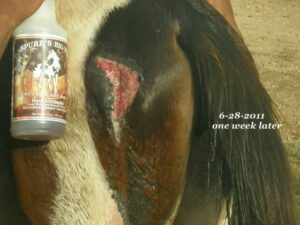 No other product was used. 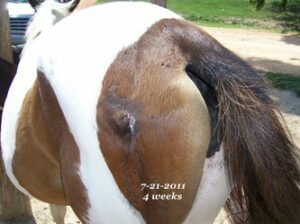 This roan gelding was found in his pen with a deep puncture wound, likely from a fallen tree limb. 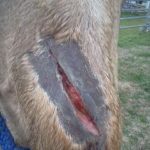 When the horse was inspected by his vet it was determined the wound was aproximately 3 to 4 inches deep. 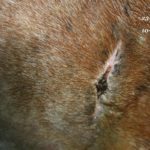 After two vet visits and nearly $500 in vet bills, the wound was STILL not healing – even despite the insertion of a drainage tube. 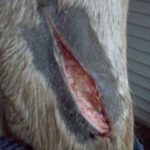 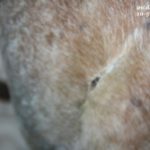 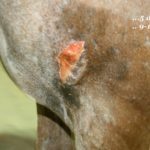 The owner switched to treating the gelding by spraying the wound with Spurr’s Big Fix and within 4 weeks the puncture was, not only healing, but was leaving little to no proud flesh or scarring. 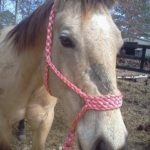 This Buckskin mare sustained a nasty facial laceration. 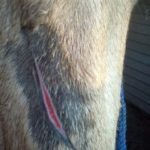 The wound was cleaned and surrounding hair was clipped. 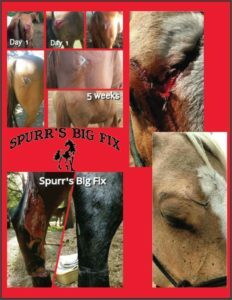 Spurr’s Big Fix was applied to the wound daily. 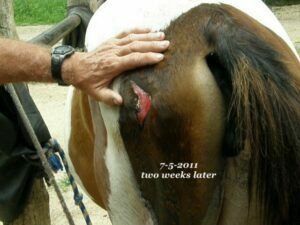 Within 30 days the wound was completely healed and no visible scar remained. 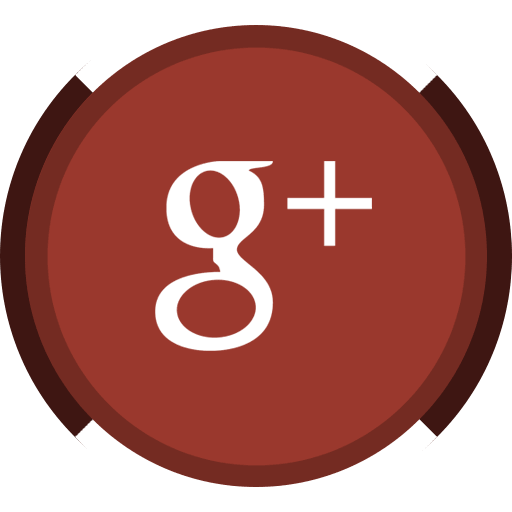 Click here to see ALL of our Testimonials and Awards here! 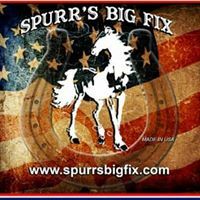 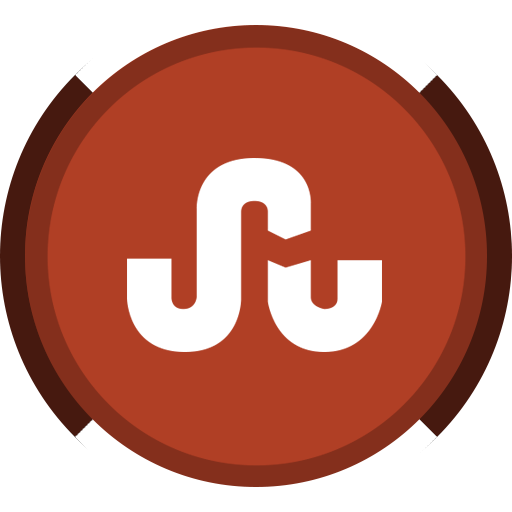 I need spurr’s big fix.com ASAP. 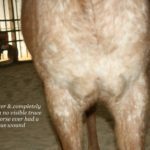 I have a horse with post cut on bulb of front foot. 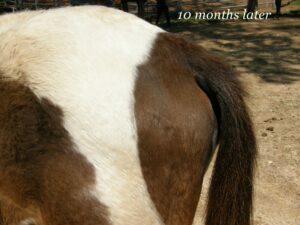 We cast him for three weeks then a wrap for three more weeks, wrap off and bad weather. 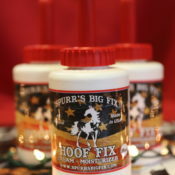 I would like to become a dealer for Wyoming? 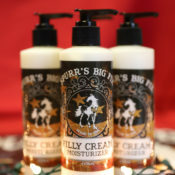 call ia am for immediate shipment! 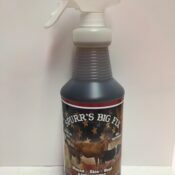 My husband and I bought a 8oz. 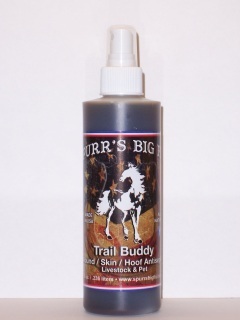 bottle of your Trail Buddy Wound/Skin/Hoof antiseptic on February 9,2018 while we were participating in the Dixie National Wagon ride. 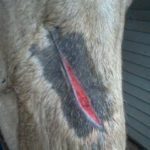 We have been using this on our mule and was wondering why the wound was not healing. 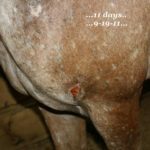 Last week my husband noticed that on the bottom of the bottle the date NOV.10 14. 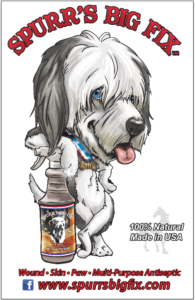 Does this mean that the bottle is out of date? 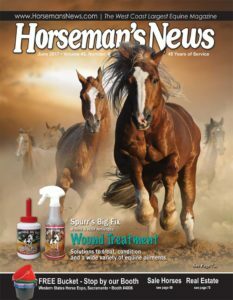 I’m wondering if the money back guarantee is valid and could receive a fresh dated bottle?